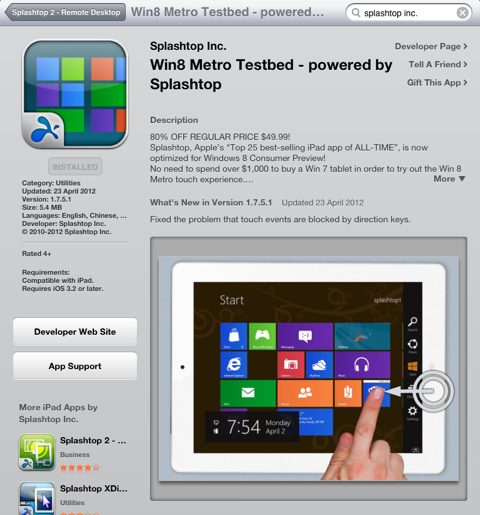 Just for fun, if you want to try out the touch experience of Windows in your iPad, there’s a handy app from Splashtop Inc. that is available in App Store called Win8 Metro Testbed. 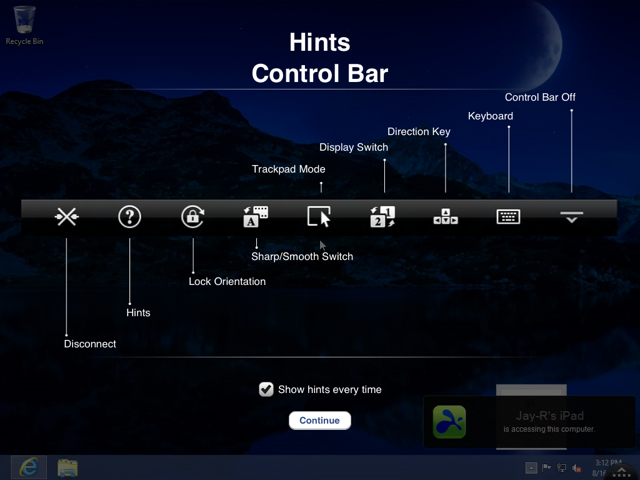 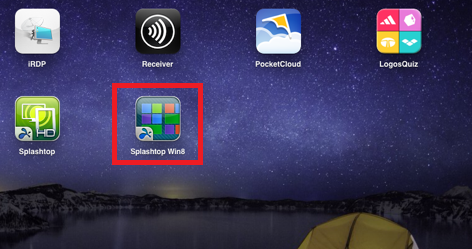 Once that the is app in your iPad go to your Windows 8 machine to download and install the streamer client. 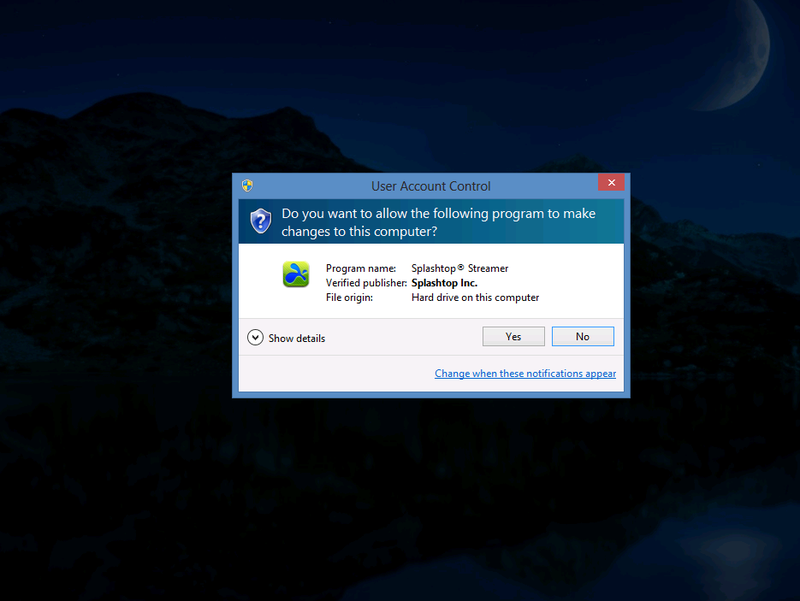 Should UAC prompts, just like the Yes button to continue. 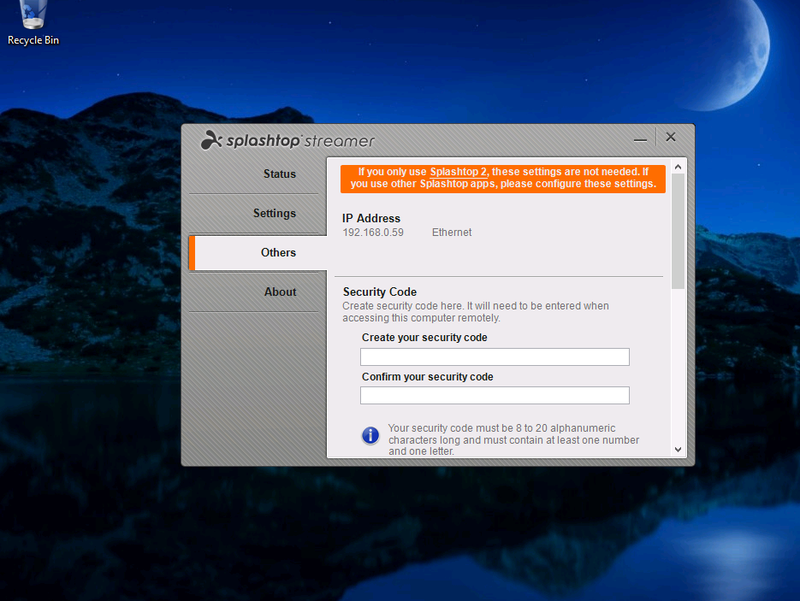 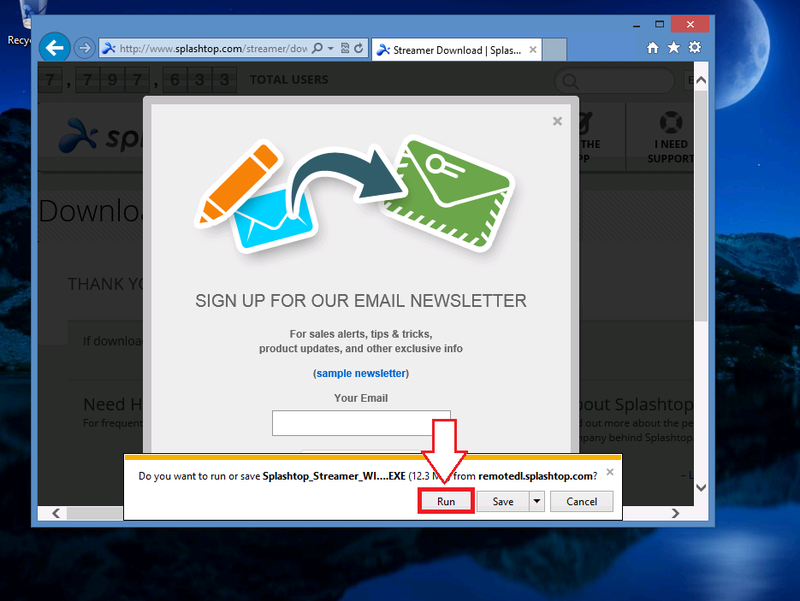 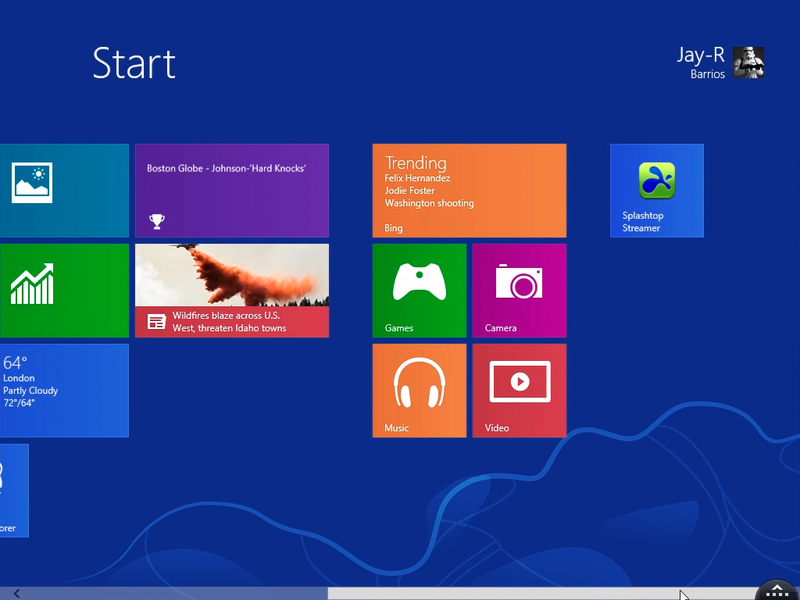 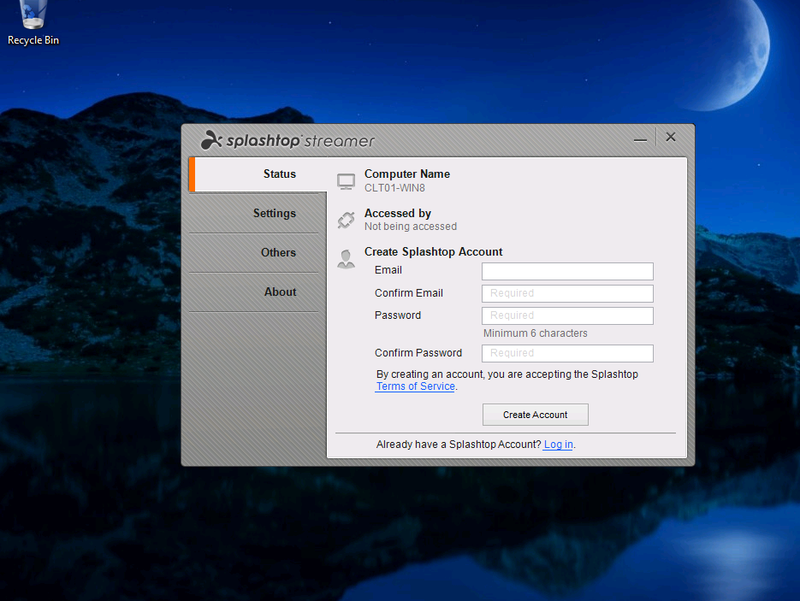 You will need to create a Splashtop Account in order to access your Windows 8 machine. 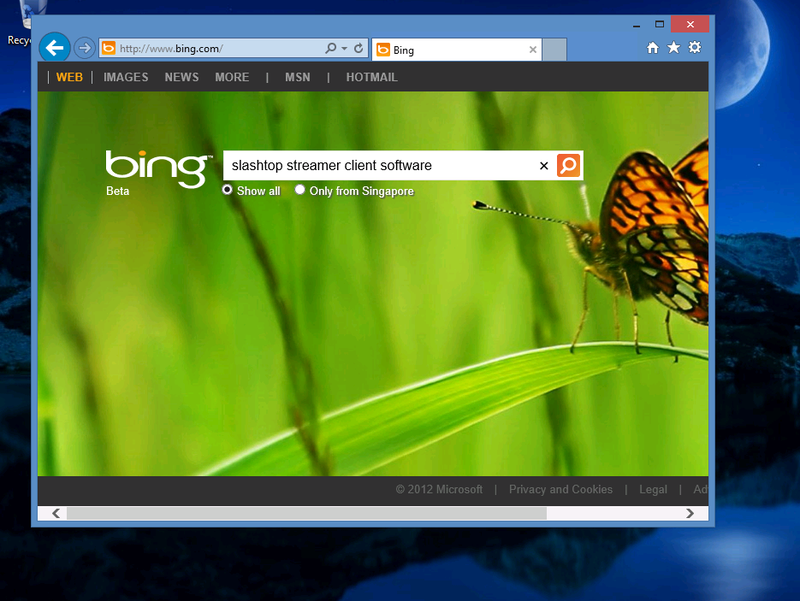 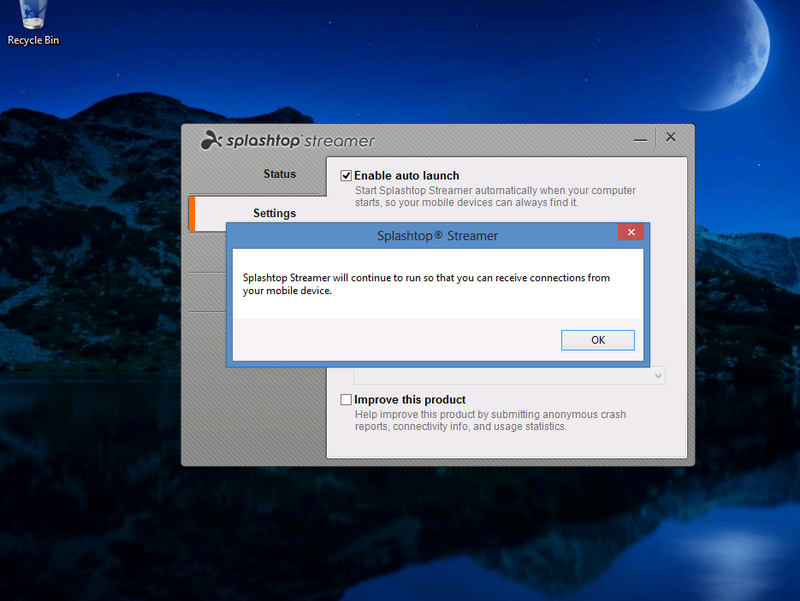 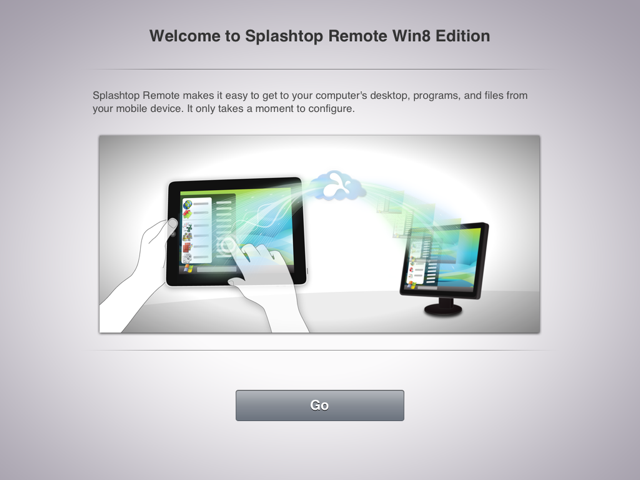 Once you’re done configuring the streamer in Windows 8 go back to your iPad and access Windows 8 from there. 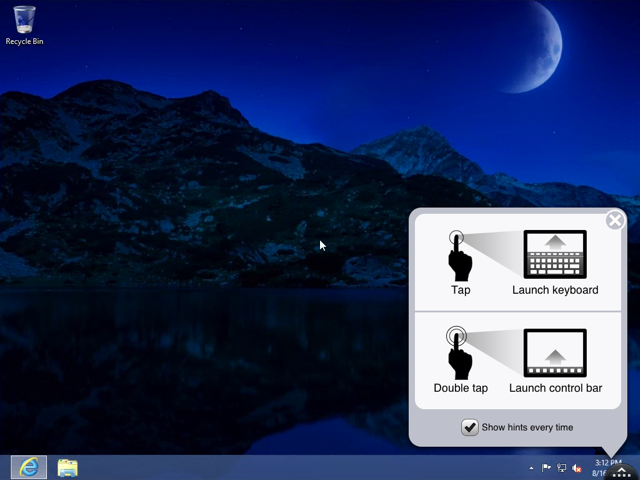 It will take time for users to get to use with this touch experience as the demo in Youtube is completely different to the actual one.